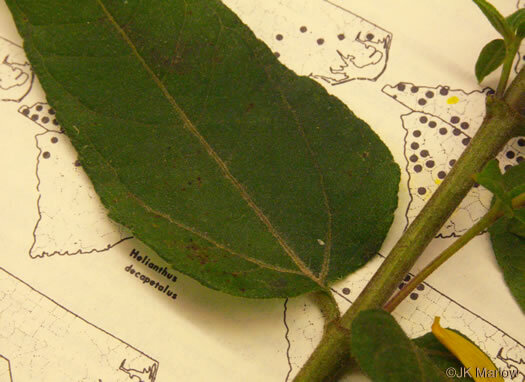 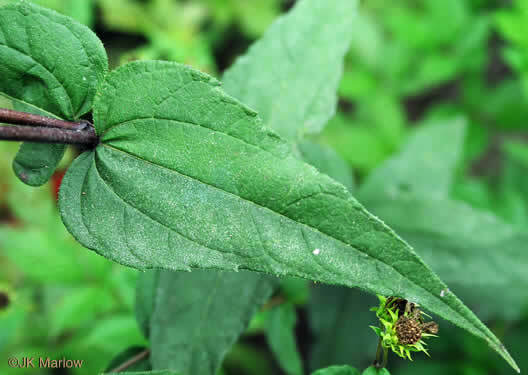 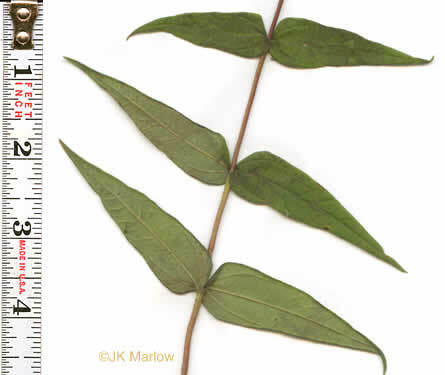 Your search found 7 image(s) of leaves of Hairy Sunflower and Woodland Sunflower. 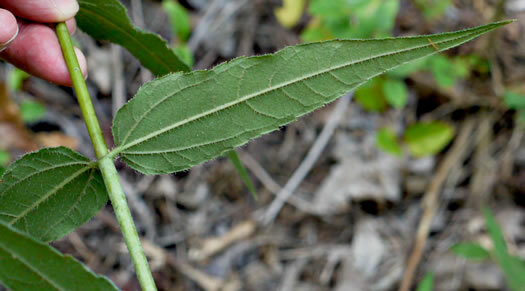 Leaves similar to H. divaricatus, but rough on upper surface, short-petioled, per Wildflowers of the Southern Mountains. 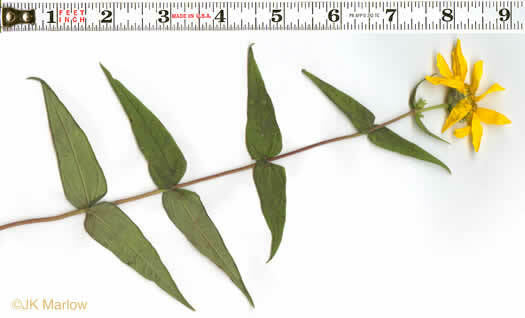 Leaves truncate to broadly rounded at base, shortly but distinctly petiolate, per Weakley's Flora. 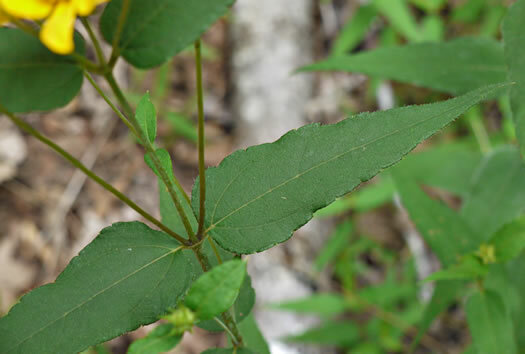 Leaves thick, scabrous above, pubescent at least on the veins beneath, per Vascular Flora of the Carolinas. 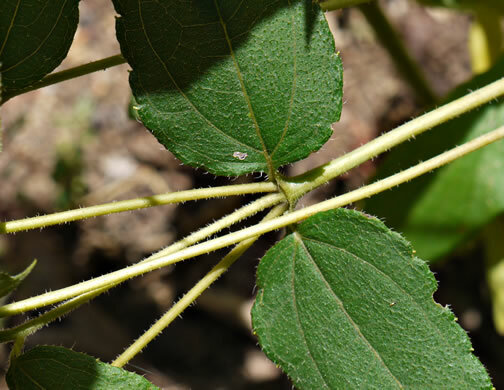 Leaves triplinerved, with a prominent lateral pair of veins near the base, per Weakley's Flora.